Our most popular event... The Northern Lights! What are they? How do we see them? The Aurora Borealis or the Northern Lights have influenced fairy tales and folklore for millennia, shaped communities and religious beliefs, provided civilisations with incredible stories of gallant valour and past spirits. At Kielder Observatory we aim to integrate the spiritual stories surrounding the aurora and the fascinating scientific facts that explain it. Tonight, we will explore how science has studied and discovered the processes that create the beautiful dancing Northern Lights. Learn about the incredible energy that the sun releases second by second and how this energy interacts with the Earth’s atmosphere to give us a light show like no other. 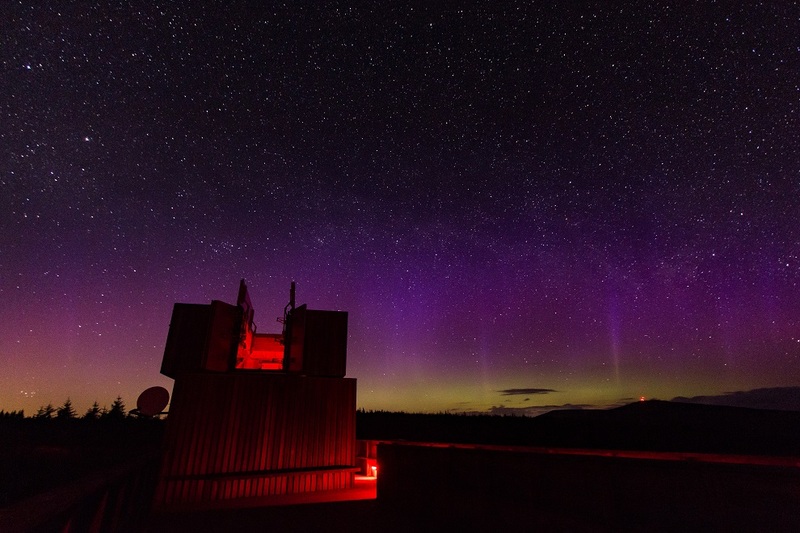 The Northern Lights have been observed from the Kielder Observatory many times, tonight you will learn not only the science behind the aurora but also how to find them and the best locations in the UK, so when your event is over you will be proficient in knowing when and where to look for these legendary dancing lights. After the event you will receive a hand-out to explain the key facts, so that you can hunt them out for yourself. During the event you will enjoy a tour of the Observatory, see the telescopes and meet our team of passionate astronomers. The team will be on hand to answer all your questions and to help you use our telescopes to observe a range of objects including, craters on the moon, distant galaxies, nebulae and star clusters depending on weather conditions. You can also join us on our observation deck and gaze at the dark skies and maybe even the Milky Way, all from one of Europe's darkest locations.